La Sallian professor believes that several major sectors in Philippine society are conniving to cover up the big controversy and the ensuing results of the election recount for the vice presidential polls in 2016. Dr. Antonio Contreras explains that the opposition has been deliberately pinning credible insiders and sources for the election recount controversy as Marcos allies. He also questions the constant spamming and taking down of Facebook of certain footages where former Biliran Representative Atty. Glenn Chong discusses the election recount during the Senate hearing. Some of the footages taken down by Facebook also had questionable personalities come up such as Vice President Leni Robredo’s lawyer, Atty. Bernadette Sardillo, seemingly collaborating with Senator Franklin Drilon in questioning Chong’s credibility in the case by linking him as former Senator Bongbong Marcos’ counsel. 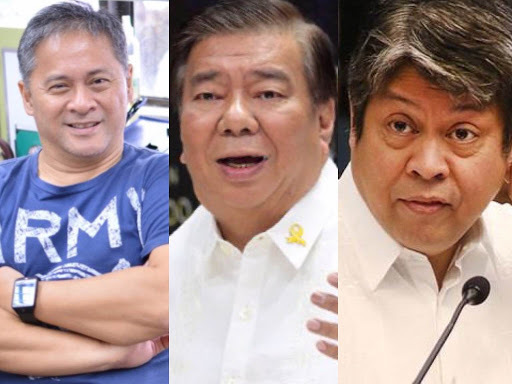 “The senator from Iloilo (Drilon) tried to impeach the credibility of Chong by painting him as a partisan resource person, even as he and Sen. Kiko Pangilinan, his colleague in the Liberal Party, were obviously and unabashedly lawyering for the Comelec and Smartmatic during the hearing,” Contreras wrote. The La Sallian professor also pointed out media outlet Rappler’s publication of stories focused on questioning Chong’s credibility in the hearing. “And finally, you have Rappler, still active and living on borrowed time after the Court of Appeals upheld the decision of the Securities and Exchange Commission (SEC) canceling its registration, choosing to focus on Drilon’s allegations against Chong as a Marcos partisan instead of focusing on his damaging revelations,” Contreras said. The fraud and cover-ups are too overt for Contreras who pointed out how mainstream media only has scan coverage of crucial issues pertaining to the election recount, such as Senator Tito Sotto’s privilege speech, and Chong’s testimonies and revelations about Smartmatic, among others. The former politician was able to elucidate the case of certain vote counting machines (VCM) transmitting data to the Comelec Cenral Server (CCS) on the day before it is supposed to transmit, the “out-of-sequence or missing ballot images”, and the inconsistent claims of representatives from Comelec and Smartmatic. Of all the anomalies and newsworthy stories media could roll out about the revelations on the electoral fraud, it has instead oiled the gears for labeling Chong as a Marcos ally. “It is understandable for Comelec and Smartmatic to try everything to spin and hide the flaws of their own system and cover up their sins. But what is unforgiveable is when media becomes complicit with the spinning of the fraud and the covering up of the stench,” Contreras concluded. THERE they go again, using the Marcoses to scare or diminish, as if this old trick will still work. First, we have former Chief Justice Hilario Davide attempting to scare us like little children by raising the specter of Bongbong Marcos running as transitional vice president should the proposed charter drafted by the consultative committee formed by President Duterte push through. Davide made it appear that it is bad news for Marcos to be elected as such, forgetting the fact that he was voted by millions and almost won as vice president. Davide tried to scare an electorate, many of whom believe that Marcos lost only because he was cheated. And then you have Sen. Franklin Drilon, so alert during the Senate Hearing conducted by the committee of Sen. Koko Pimentel on the privilege speech of Senate President Tito Sotto about the alleged fraud during the May 2016 elections. He attempted to diminish the credibility of lawyer Glenn Chong, who almost singlehandedly demolished the credibility of the Commission on Elections (Comelec) and Smartmatic with his clear, pointed and well-documented revelations. 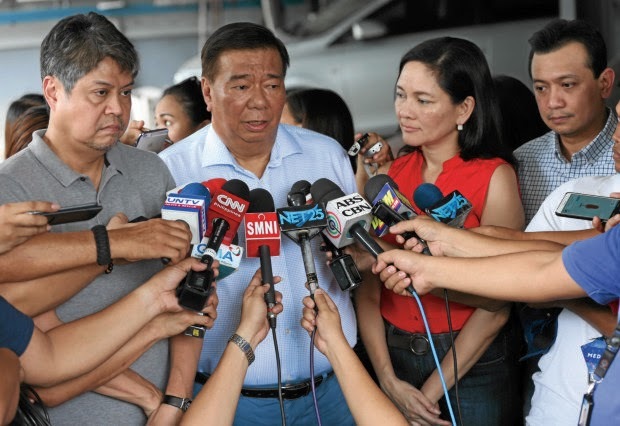 Drilon did this by trying to connect Chong to the Marcoses, even wrongly alluding to him as Bongbong Marcos’ lawyer at the Presidential Electoral Tribunal (PET). The senator from Iloilo tried to impeach the credibility of Chong by painting him as a partisan resource person, even as he and Sen. Kiko Pangilinan, his colleague in the Liberal Party, were obviously and unabashedly lawyering for the Comelec and Smartmatic during the hearing. And finally, you have Rappler, still active and living on borrowed time after the Court of Appeals upheld the decision of the Securities and Exchange Commission (SEC) canceling its registration, choosing to focus on Drilon’s allegations against Chong as a Marcos partisan instead of focusing on his damaging revelations. In the end, it was former Comelec chairman Sixto Brillantes Jr. who perfectly epitomized the spinning. Instead of focusing on and rebutting the revelations made by Chong, Brillantes simply opted to go the route of deploying an ad hominem attack against the crusading lawyer. Confronted with possible violations of the election law in which he himself may have had a hand, and which may have led to a crooked conduct of the elections, Brillantes responded by painting Chong as a crook. It is understandable for Comelec and Smartmatic to try everything to spin and hide the flaws of their own system and cover up their sins. But what is unforgiveable is when media becomes complicit with the spinning of the fraud and the covering up of the stench.